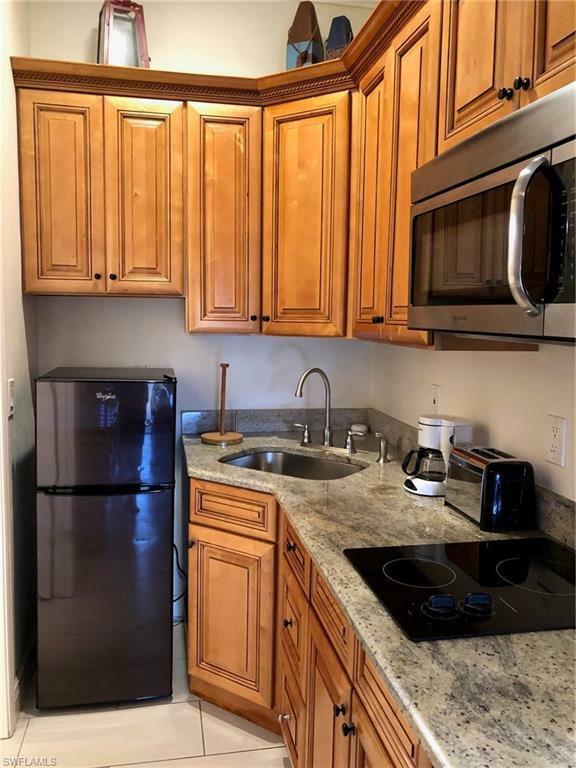 Immaculate and gorgeous TURNKEY 1BR END UNIT efficiency with lanai overlooking tropical flora will certainly please the most discriminating owner or investor. May reside year 'round, rent long term, use as a vacation rental, or put in hotel rental program. Enter through French doors with privacy blinds into the custom decorated bedroom/dining/kitchen. 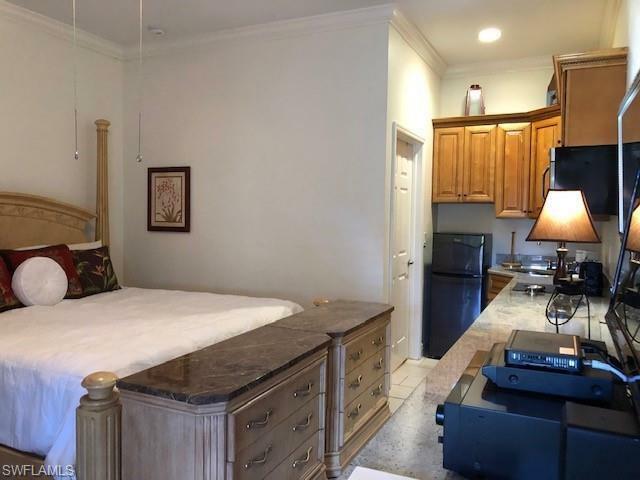 Condo offers a king bed, ceiling fan, tropical dinette set, love seat, two marble-top storage dressers, crown molding, long granite counters, hickory cabinets with nautical rope-like trim on the cabinet top, large flat screen TV, cable, WI-FI, and tile floors throughout. 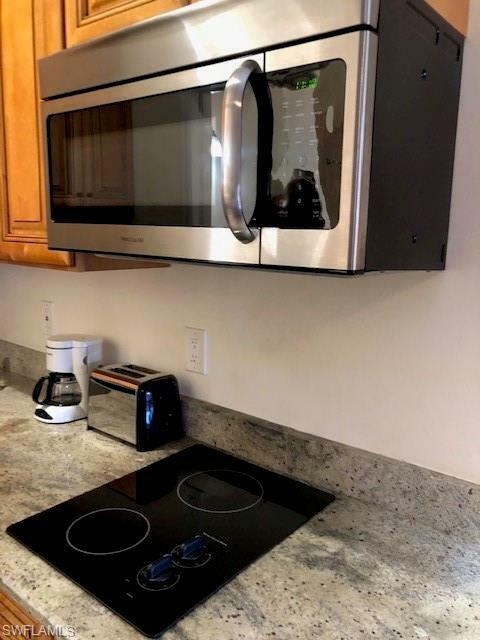 The kitchen has a convection microwave, refrigerator with freezer, two-burner counter top stove, and corner sink. Relax in the spa-like ambiance of the tiled open shower in neutral color tones with a step-over threshold. The outside tropical plantings offer much privacy and serenity and the common round umbrella-covered table has a view of the canal and boats docked at their slips. 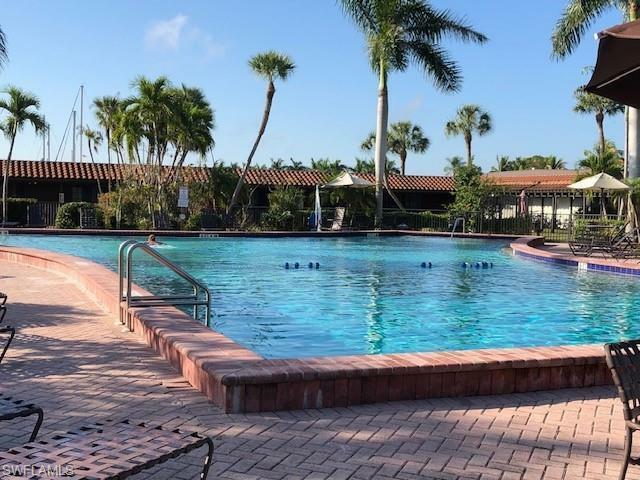 All this and yet just a few steps to the amazing Olympic size pool and the hotel that offers many amenities of which they and the utilities are included in condo fees. Being sold "As Is". Listing courtesy of Port Of The Islands Realty Llc.